No doubt you’ve heard the term “data layer” before. And you may never stop hearing about it. The data layer has revolutionized the way that companies collect, organize and distribute data to their various marketing applications. But what actually is it? And why does everyone keep telling you to get one? Did that help? Probably not. The data layer is a pretty cryptic subject, but in the end, it’s important that decision-makers come to understand why investing in one is critical. You’ve heard of tag management, right? 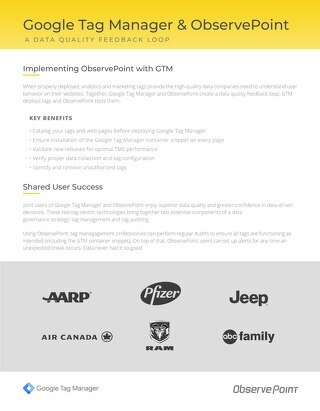 The data layer was created to streamline TMS-based data collection processes by bringing together all data into one location, to then be accessed by each marketing technology.  This tag contains script which runs on the site to gather the data that it needs. Without a data layer, each technology is responsible for collecting its own data, namely data about the content of the page and data about user behavior. Having each marketing technology gather its own data is problematic, to say the least. Differing definitions of user events and changing HTML structures can interfere with this process. The purpose of the data layer is to resolve this issue. The data layer is built and populated independent of the DOM or the marketing applications, giving you more control over definitions of user events and offering pre-defined data about the content of the page. Implementing a data layer is a serious investment, but if you pride yourself in trustworthy data and efficient operations, it is definitely worth considering. In the long run a data layer will increase IT efficiency, expand marketing autonomy and give you cleaner, more trustworthy data. 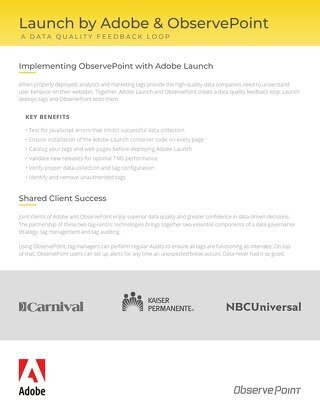 For a more detailed explanation of how to implement a data layer, and of how ObservePoint’s solution can help you validate your data layer and other marketing technologies, check out the on-demand webinar “Best Practices for Building a Dynamic Data Layer” by Mike Plant and Jason Call.